Did you know that in our school we can prepare you or your child for the ABRSM exams? Didi you know that this exams you can pass in Serbia? In our school, we have 100% passivity. 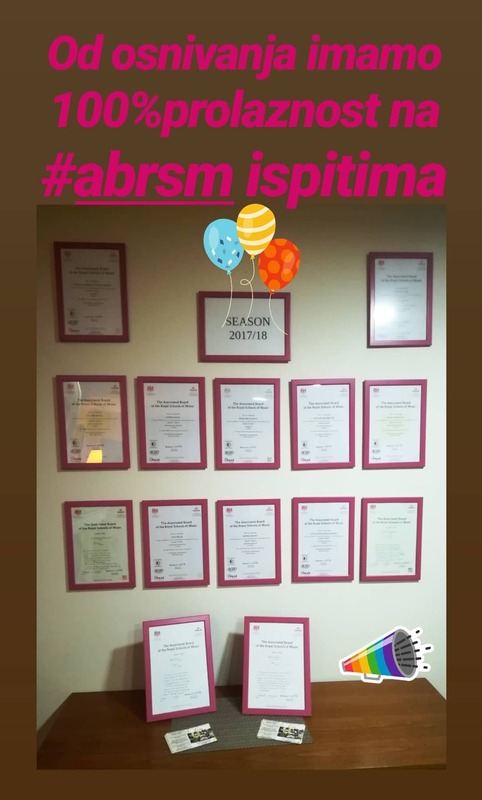 On this photo you can see all diplomas from last school year. You can learn how to play piano, guitar, violin, cello, double bass, flute and singing. Application deadline is January 2019th! Write to us at info@evamusic.rs for all information. Previous Post: PRIMA International School of Belgrade was in our Centre! Next Post: Christmas Concert 9.12.2018.